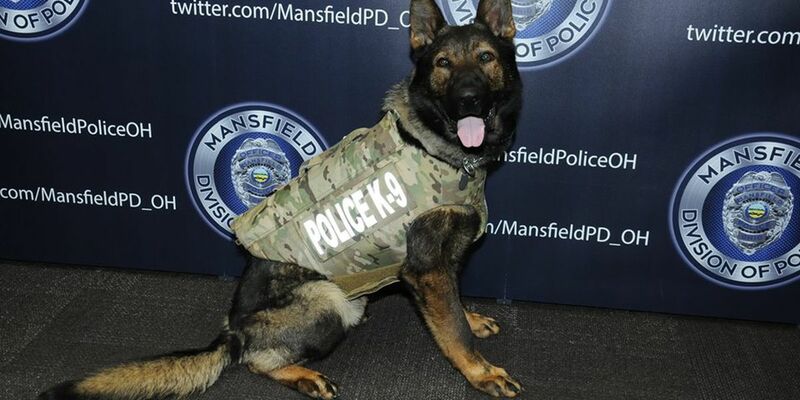 MANSFIELD, OH (WOIO) - The Mansfield Division of Police announced Wednesday a gift that will provide much needed on-the-job protection to their K-9 officer Mekel. The Vested Interest bullet and stab resistant vest was sponsored by Prosecutor, Gary D. Bishop and was embroidered with the sentiment “This gift of protection provided by Richland County Prosecutor’s Office." For more information on Vested Interest in K9s, visit their website.